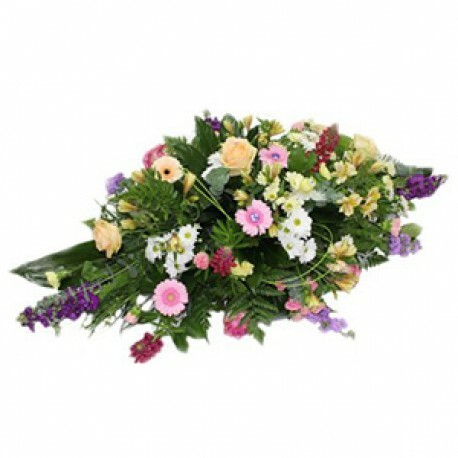 A double ended spray created by using mixed foliages and a wide variety of flowers. This spray may contain aconitum, roses, gerberas, chrysanthemum and other seasonal flowers. If you have a preference for alternative colours please specify at the time of placing your order. Flowerscene are delighted to offer this double ended spray for delivery in Aberdeen and surrounding areas.